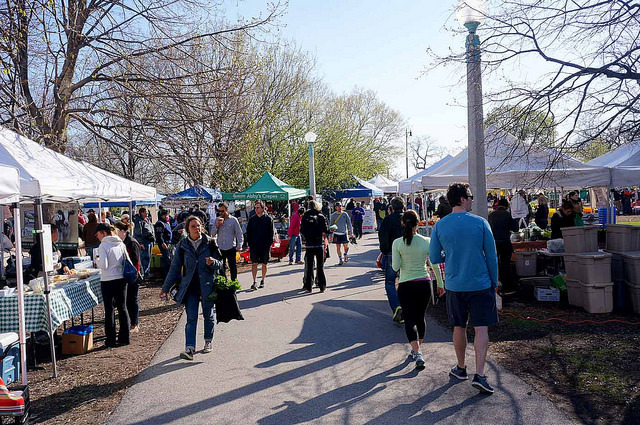 The Green City Market is coming outdoors starting Saturday, May 2nd. The market will be located in Lincoln Park between Clark and Stockton Drive. You’ll find local farmers, artisan producers and vendors, and a variety of organic and sustainably raised products. The market opens at 7 a.m. and will run until 1 p.m. every Wednesday and Saturday. 8 a.m. – noon Club Sprouts Tent welcomes children of all ages to try new, locally grown foods with samples and activities. In honor of the 2015 James Beard Foundation Awards (happening May 4th), the Green City Market will host the visiting chefs as they browse and shop the market. This is the 25th anniversary of the James Beard Awards, and the first time that the Awards ceremony and gala reception is in Chicago. Bring your own pot and purchase plants from Green City Market vendors to fill it. Expert advice from our Edible Garden staff.